These are the most Instagrammed restaurants in the U.S. of A.
It’s no surprise that a list exists of the most Instagrammed restaurants in the U.S — because not only do we love our food, we love taking pictures of our food. We’ve all done it. We sit down at a restaurant and order something delicious sounding. Upon arrival, we Instagram the crap out of that delicious dish. It’s like a reflex, and it’s not our fault. If the food wasn’t so pretty to look at, we wouldn’t feel the need to share it with everyone we know (and don’t know). Here you’ll find candy. Lots of candy. But not just regular, boring candy — candy that looks like it belongs behind a glass case in a museum. And drinks the size of your head. Sushi that could basically jumps onto your table from the ocean. If fish were into that sort of thing. The decor is Instagrammed way more than the food, and it’s obvious why. Because the sandwiches are GINORMOUS, and also because it’s home to the “I’ll have what she’s having” scene in When Harry Met Sally. When the line to order a milkshake is eight days long (not really, but you get it), you’re obligated to Instagram a pic of the amazingness. The atmosphere and the food are incredible, but the draw is the colorful rows of macarons. There’s a lot to see at the San Pedro Fish Market, which is just outside of L.A. But mostly there’s a lot to eat. And to Instagram. 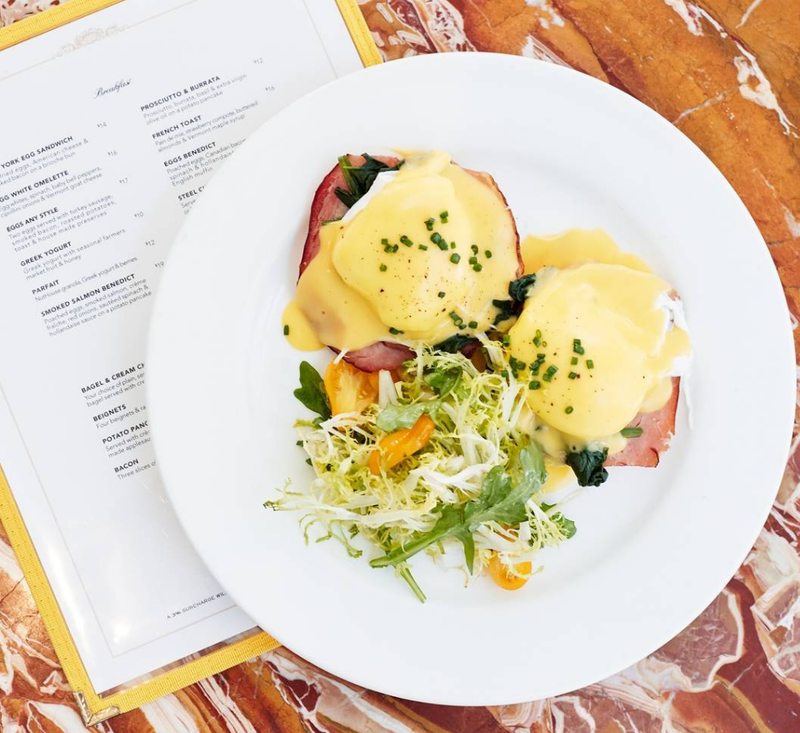 There are two crowds at LAVO: the Sunday brunch crowd that Instagrams Eggs Benedict and the Friday night crowd that Instagrams the party and the desserts. A waterfront restaurant at the very tip of Manhattan gives customers breathtaking views of the water and the sunset over New Jersey. Perched high in the sky above downtown Los Angeles, Perch offers some of the most gorgeous views of the city. Oh, and the food isn’t too bad either.